Roller Ramps are constructed using marine grade aluminum and heavy duty rubber rollers. 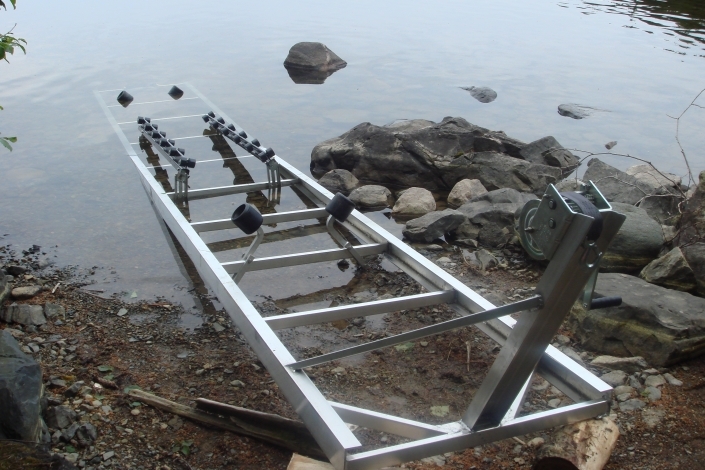 Placed easily at the edge of the water, a roller ramp is a perfect fit for smaller boats. Keel Rollers come in 8′ and 10′ lengths constructed from marine grade aluminum and heavy duty rubber rollers. Single and double roller designs are also available. They can be attached directly on to your dock. View Pricing for Roller Ramp Systems.